Increasingly, designers are turning towards biophilic design for office space planning, so why is it so important? The word biophilia, defined as the passionate love of life and all that is alive, was coined by psychologist Erich Fromm in the 1960s. As a concept, it has grown in popularity in the last few decades, with numerous biologists and researchers suggesting that human beings have a natural and ingrained need to be in touch with nature. Such research has led directly to the idea of biophilic design; a form of design where elements of the natural world are integrated into the architecture or interiors of the places where we live and work. In the modern world, human beings are becoming increasingly disconnected from nature, due in part to an urbanisation process. In the United Kingdom, for example, the number of people living in urban areas has increased by more than 10 percent since the 1950s, despite studies showing a preference for natural environments. The presence of bright colours and a view of the sea both also feature in the top five most wanted office elements, demonstrating a clear appreciation for nature. Throughout the years, various studies have attempted to demonstrate the positive effects biophilic design elements can have upon a workforce. 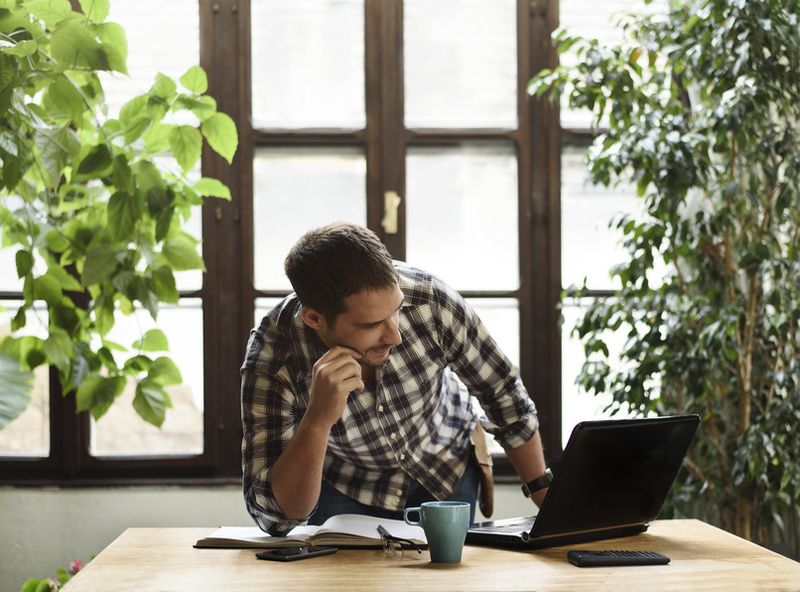 For instance, a 2011 study published in the Journal of Environmental Psychology found that productivity can be significantly improved by the simple addition of desk plants. Meanwhile, a 2015 experiment published in the same journal divided participants into two groups, in order to carry out the same task. One group was given a 40 second break with a view of nature, while the other was given a view of a concrete roof. The group with a view of the natural world exhibited longer attention spans and greater focus. A World GBC report concluded that office workers without access to windows and natural light were more likely to experience problems with sleep quality and sleep disturbances. Moreover, the aforementioned 2014 Human Spaces Report linked biophilic design with mental health benefits and improvements in productivity and creativity. One of the most simple biophilic design solutions is to make sure ample light gets into an office through windows. This means having a sufficient number of windows and making sure light is not impeded. However, there are pitfalls to avoid, such as inviting too much light into a room, which can cause glare and other issues. In terms of office interior design, colour schemes which are related to the natural world can have a positive impact on employees. For instance, blue, green, yellow and white are known to improve motivation, productivity, creativity and happiness, while industrial colours like grey are associated with heightened stress levels. 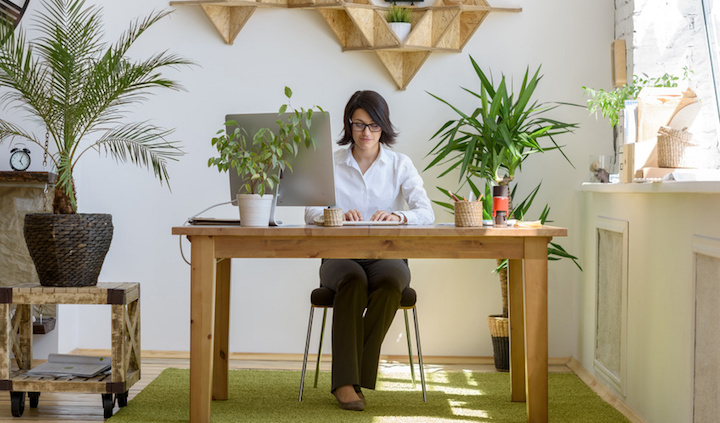 Living plants, water features and other natural elements can produce numerous benefits, while at the more challenging end, providing workers with a pleasant natural view can aid concentration levels. 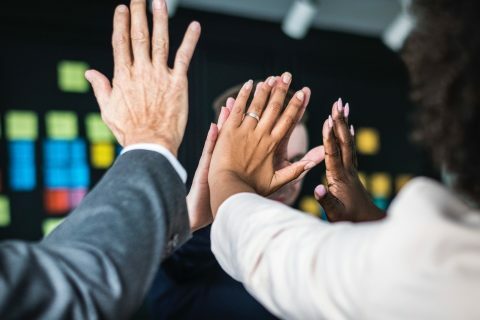 “The work environment has always been recognised as essential to employee well-being… but often purely as a hygiene factor,” says Professor Sir Cary Cooper, a leading expert on well-being in the workplace. Reno Macri is a Director of a leading exhibition and event company Enigma Visual Solutions, specialising in exhibition stand design, retail designs, interiors, graphic productions, signage systems, event branding, conference set design and much more. He specialises in experiential marketing and event productions. He enjoys sharing his thoughts on upcoming marketing ideas and design trends. Connect with @enigmavisual on Twitter.